Moving is hard on everyone in the family, but for kids moving is even tougher. Leaving friends, teachers they know and a school environment they're comfortable with makes it difficult for them to transfer to a new place. So before you move, find out how to help your child not only manage through this difficult time but thrive in their new place. These tips and suggestions will provide you with all the information you need to get them settled and enjoying their new school. Changing schools because of a move is difficult. And it's even more difficult if that change happens partway through a school year. But often, as parents, we don't have the option of choosing when to move. If you find you need to move your family during the school year, take heart. Your children will adjust. It might just take a little more effort and patience from you. So, check out ways to help you help them. One of the most difficult tasks when moving to a new community is finding a good school. It's not that good schools are few and far between; it's just that with the old school you knew all your child's teachers, have been involved in school activities and are certain your child was receiving a good education. So why not make it fun for both you and your child by researching options, then taking a tour, asking lots of questions and spending some time in a classroom? Getting your child involved in the decision of which school they'll attend helps them adapt more quickly to the change and will reassure you that this move is a positive change for the entire family. When moving your family to a new country, there are several questions to ask yourself when thinking of your child's education and which school will be best for them. With three different educational options, which one is best suited to your child's learning methods and goals? Find out everything you need to know about international schools, from educational styles to fees to a list of resources that will help you find the perfect educational experience for your child. Moving to a new school is usually the hardest part of a move for kids. Switching schools means making new friends, getting to know new people and figuring out how to navigate their way through. This is particularly difficult for teens. So, to help them transition and settle into their new school, check out these tips and suggestions. If you're planning a move to a new school district, particularly if you're moving to a new city, it's a good idea to gather your child's academic records or begin creating an education portfolio. This will be a critical piece to your child's future if you're in the process of moving, planning to move or if you want to enroll your child in a special or private school. From letters of reference to individual achievements, find out which educational documents to include and how to build your child's records for a solid future. Which Records Do You Need to Collect? Before you move your child to a new school, there are several documents you need to collect. School records will help your child transition to a new school and will provide invaluable information for future success. 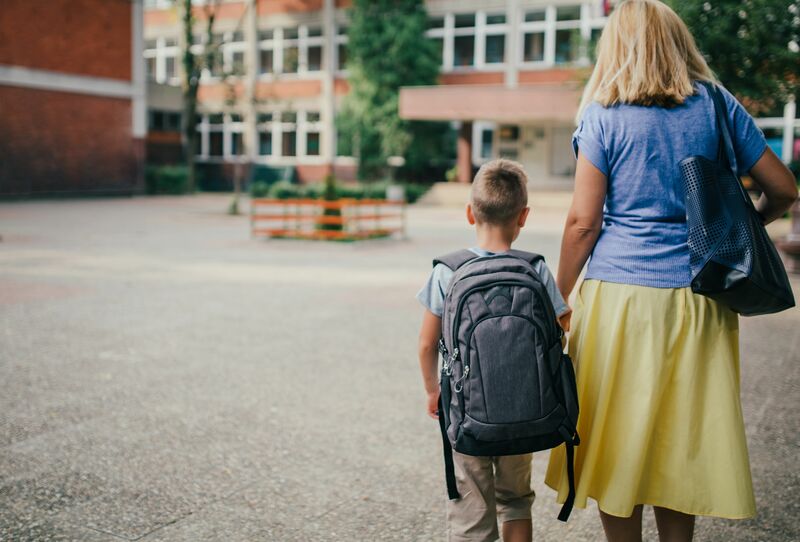 When transitioning kids to a new school, it's a good idea to help them get to know the kids in their neighborhood, who often will be attending the same school. This list of suggestions is the perfect place to start with suggestions on getting kids familiar with their neighborhood and the people that live in it.